What to expect at MYM? We offer 9 interactive galleries designed for children 8 and under to explore and discover with friends, family and groups. Check out our EXPLORE page to learn more. Visit our Calendar to learn more about our exciting programs and activities. Take your students on a field trip to remember! MY Museum’s Field Trips give children an opportunity to discover the world around them. 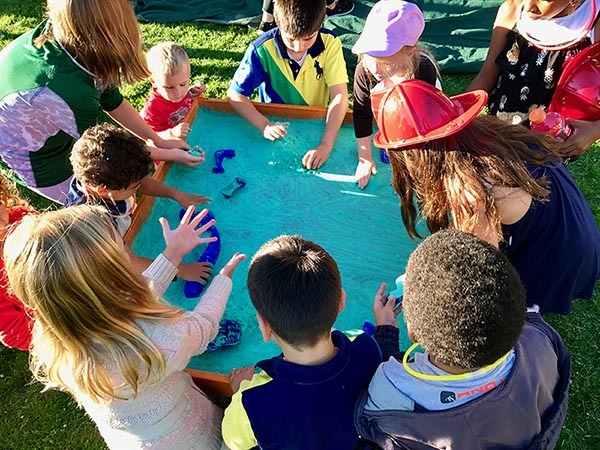 During a 90-minute field trip, children can explore unique hands-on exhibits about a variety of subjects including STEM, art, music, theater, health, and everyday role-playing. Our rates are $3 per student, Teachers and Chaperones are admitted free. Please note that we require one adult to every five children. Field Trips are available for booking Tuesday through Friday, based on availability. Advanced reservations are required. In our effort to support all members of our community, we offer reduced-rate and free field trip scholarships. If your school is interested in a MYM visit through this program, please complete our online Community Partners Application. Please call (831) 649-6444 to schedule your field trip today! $125/hour for members & nonprofits, $150/hour for non-members, public/corporate events $200/hr. A travel fee may apply. 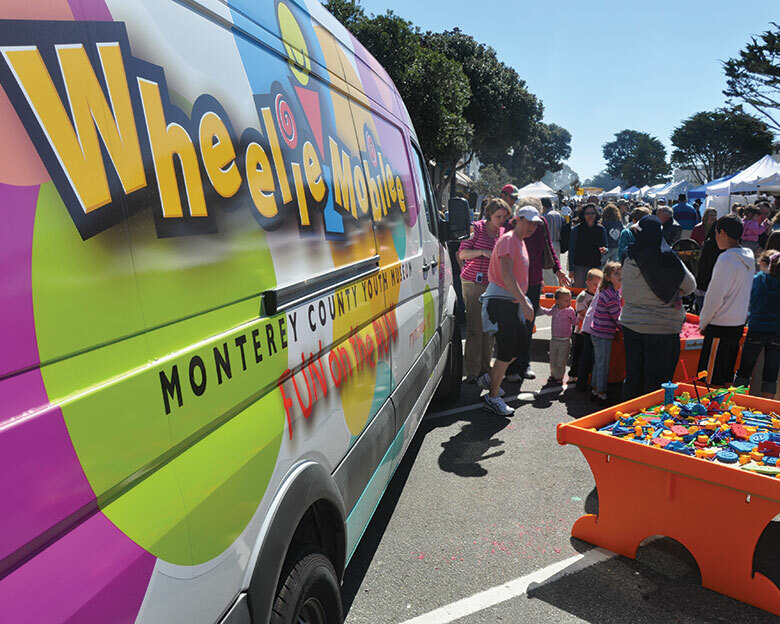 The Wheelie Mobilee, MY Museum’s mobile outreach vehicle, has been wheelin’ throughout Monterey County since 2008 bringing new opportunities for fun and exploration all over. The Wheelie is available for private parties, school visits, and public events. 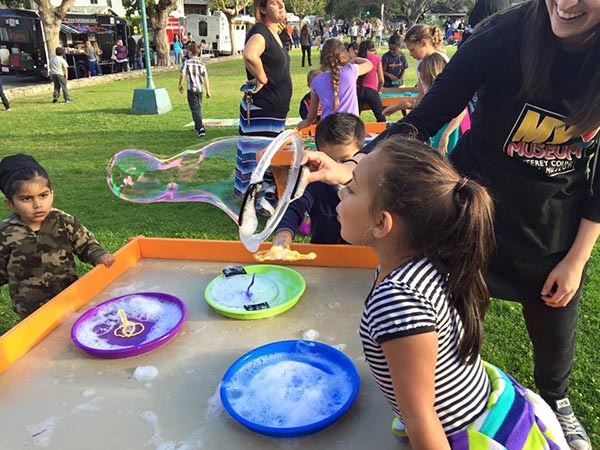 Our Wheelie Mobilee includes an Art and Plinko Cart, a Bubble table, Moon Sand table, and a Magna Tiles® table! 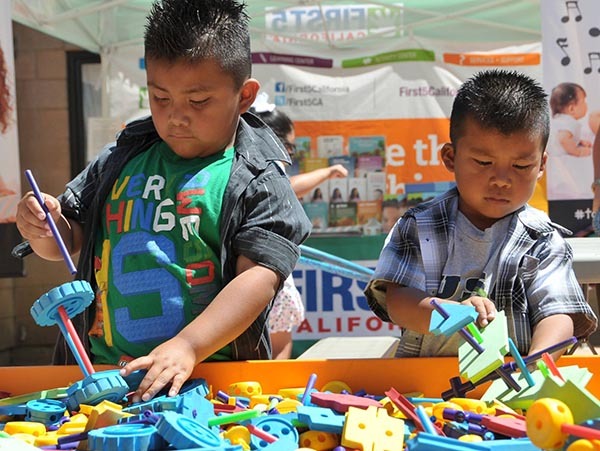 We also have the Imagination Playground™ blocks for children to design their own inventions. Give us a call at (831) 649-6444 or fill out our inquiry form to schedule the Wheelie Mobilee for your next event!